Every American has a Constitutional right to own a firearm. At least that’s what the Supreme Court decided in 2008 in the landmark District of Columbia vs. Heller case. But not so fast. As Fox Business reporter John Stossel recently found out, getting a gun permit in New York City is not easy. 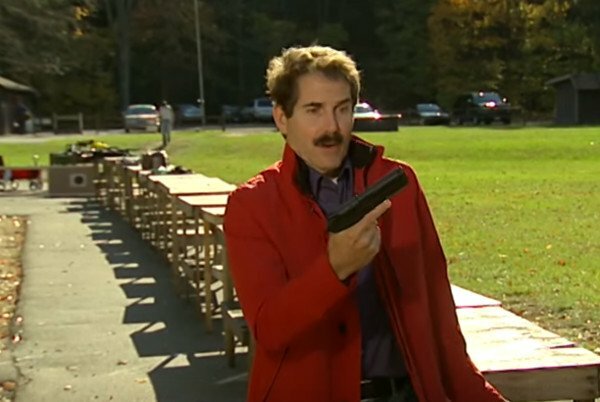 When Stossel applied to legally carry a firearm in public through the New York Police Department he found the process arduous, burdensome and long. After filling out a 50-page questionnaire, which included obscure questions and required calls to the local police station because some of the questions were so vague, Stossel had to get his application notarized. He then submitted the paperwork in person along with a $430 filing fee. More than eight months later and his application was denied. Stossel’s report should infuriate anyone who supports the 2nd Amendment. While the law might be upheld, the spirit of the law is certainly not. One veteran Stossel interviewed was denied a permit even though a man was beaten to death outside his front door. The report comes on the heels of a Wall Street Journal story showing cronyism and bribes contribute to gun permit approvals. Celebrities such as Donald Trump and Howard Stern have no problem getting permits, while ordinary citizens are met with barriers.